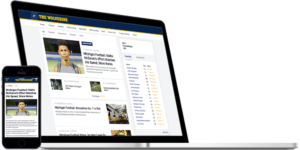 The Wolverine covers all sports at the University of Michigan with an emphasis on football, basketball and recruiting. 12 issues per year, including the big annual Football Preview. 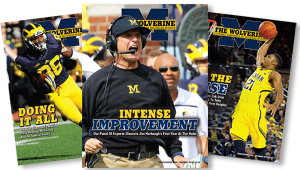 The Wolverine Now, a weekly seasonal e-newsletter for subscribers of The Wolverine, has everything you need to know before and after each game! 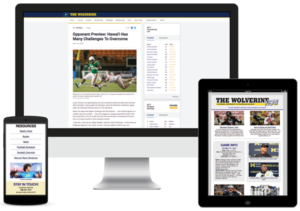 TheWolverine.com covers all Michigan sports with daily recruiting updates, news items, videos, and more. 30-Day free trial available. Download the free app to get your Wolverine news on the go! From collectibles to home decor, books and dvds, auto accessories to golf bags, our online store is sure to have the gifts that you’ve been seeking for your favorite Michgan sports fan!